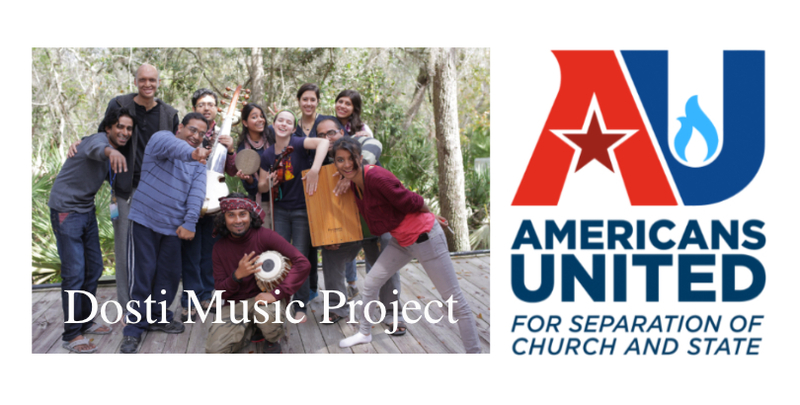 The Dosti Music Project brought together a group of musicians from Pakistan, India, and the U.S. for a month-long residency and tour in 2015 and 2016. 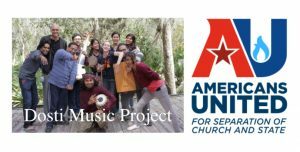 Kyla Rose Smith talks with Baruch about the project’s mission and the music, and the album of music which came out of the project ,Travelers. Rob Boston is Communications Director with Americans United for the Separation of Church and State. Rob and Baruch discuss why this separation is good for both religion and society in general.